On Saturday 19 December, around 200 people braved high temperatures and imminent thunderstorms to attend an Open Day and Open Studio in Wyndham Street, Drysdale. 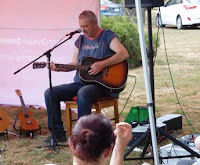 The event was presented by the Drysdale and Clifton Springs Community Association and Dax BeadArts. 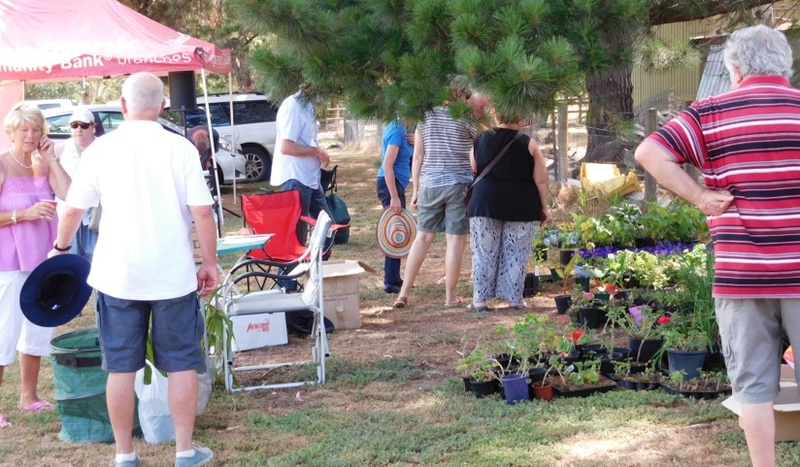 It featured a garage sale, a plant sale, a raffle, a Lions BBQ and drinks by Cafe2U. Dax BeadArt’s Glenda MacNaughton opened her studio to browsers and demonstrated glass blowing techniques. 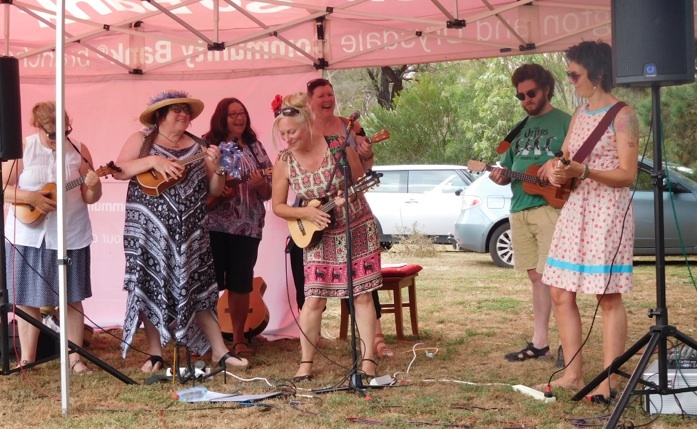 Local musicians Sarah Carroll, Narelle Jolley, Tex Miller and Chris Wilson each gave stirring sets; and then friends joined them to form a pop-up Bellarine Ukelele Orchestra!